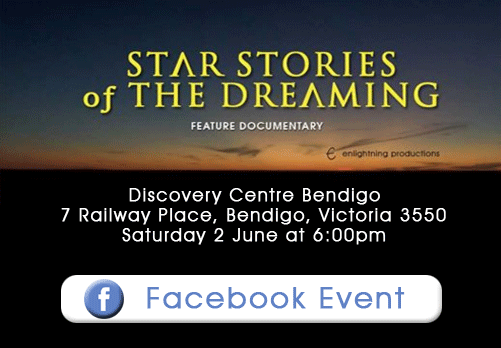 Star Stories of The Dreaming is being showcased at the Central Victoria Indigenous Film Festival that is for First Nations' stories. Star Stories is a 90 minute documentary focusing on the ancient knowledge of the universe and the spirit world. Ghillar, Michael Anderson, was taught by his grandmother, who was taught by her grandmother, who was born pre-contact. Q&A will follow the screening.